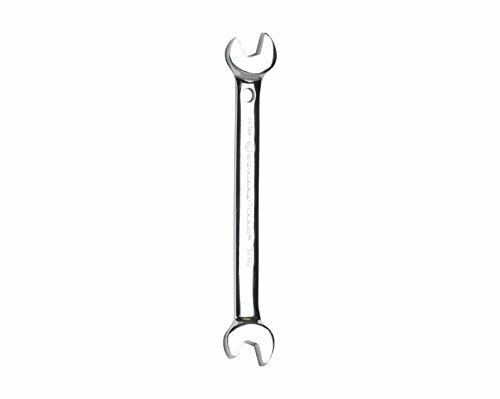 The Jonard speed wrench is used to tighten and loosen hex-head nuts and bolts. The speed wrench is constructed of chrome-plated high-carbon alloy steel with a high-gloss finish to provide durability and wear resistance. The head is offset 15 degrees to ease access to the workpiece. The wrench is 6-1/2" long. Speed wrenches have a notched head to speed applying the wrench to the workpiece.